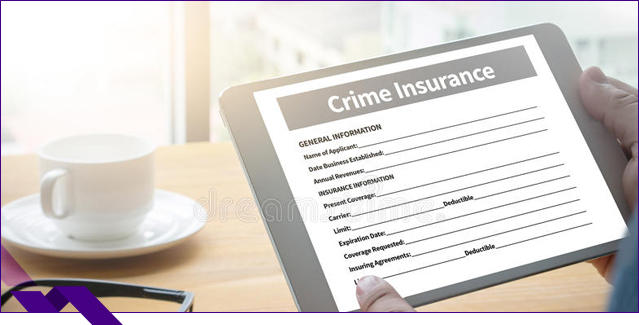 What is Crime Insurance? Unfortunately, crime and employee dishonesty can happen. As a business owner, sometimes it’s impossible to know whether the employees you hire are an honest fit for the job, and by the time you discover the truth, the damages can be costly. Since there are limitations to your commercial crime policy, you should carefully discuss your options with Densmore Insurance Strategies, Inc. to find out what kind of insurance your business needs based on your current situation and potential risks. Is a Crime Insurance Policy The Same As a Fidelity Bond? A fidelity bond is a form of insurance protection that covers policyholders for losses that they incur as a result of fraudulent acts by specified individuals. While called bonds, these obligations to protect an employer from employee-dishonesty losses are really insurance policies. Don’t lose important data or finances on the account of a dishonest employee’s actions. Keep your business secure with Crime Insurance from Densmore Insurance Strategies, Inc.
We provide small and mid-sized companies that need Crime Insurance to secure your business from potential losses. Our insurance agency provides specialized insurance protection to businesses near Ankeny Iowa, Altoona Iowa, Bondurant Iowa, Des Moines Iowa, West Des Moines Iowa, Johnston Iowa, Waukee Iowa, Grimes Iowa, Polk City Iowa,Pleasant Hill Iowa, Norwalk Iowa, Huxley Iowa, and Urbandale Iowa. We are licensed to serve Iowa, Illinois, Nebraska, Florida, Missouri, Arizona, Texas, and Tennessee. SiteMap | Copyright © 2018 Densmore Insurance Strategies, Inc.